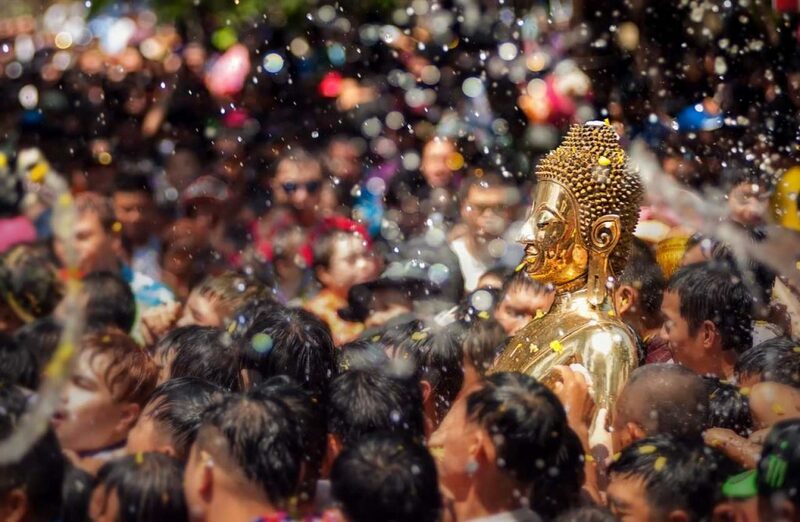 In Thailand, the calendar is packed with weird and wonderful events – outlandish festivals and celebrations that are the perfect excuse to party. From food festivals to rocket races, buffalo beauty pageants and underwater weddings, there’s plenty to see and do in the land of smiles. We’ve listed a few of the biggest, best and most baffling celebrations below. Whatever time of year you come to Thailand, there’s sure to be something celebratory going on, so go ahead and join the fun! 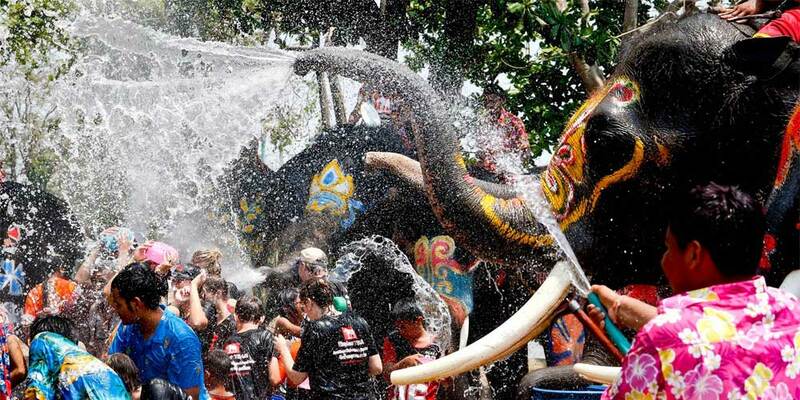 Songkran is a three-day water fight that fills the streets with fun all over the country. Everyone – locals and visitors alike – join in the craziness with music, dancing, drinking and people everywhere drenched from head to toe. Stock up on super soakers, hosepipes, water balloons and buckets, then get ready to get wet! 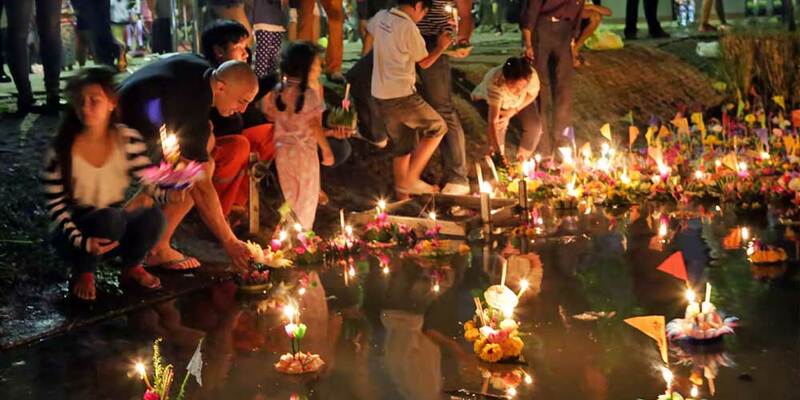 Loi Krathong is a two-day event in November in which hundreds of candles and fire lanterns illuminate the rivers and skies above Chiang Mai in northern Thailand. The floating “krathong” rafts are made from banana trees, then decorated with lotus flowers and incense. The Festival of Light is widely thought of as Thailand’s most beautiful festival. In Thailand, there is a long and proud tradition of kite flying, which can sometimes resemble a full-contact sport and get very competitive. In March, the winds begin to whip up in readiness for the monsoon rains; during this month, you’ll see street vendors selling kites all over Sanam Luang, where a huge open space in front of the Grand Palace is the perfect place to check out the colourful designs and compete. 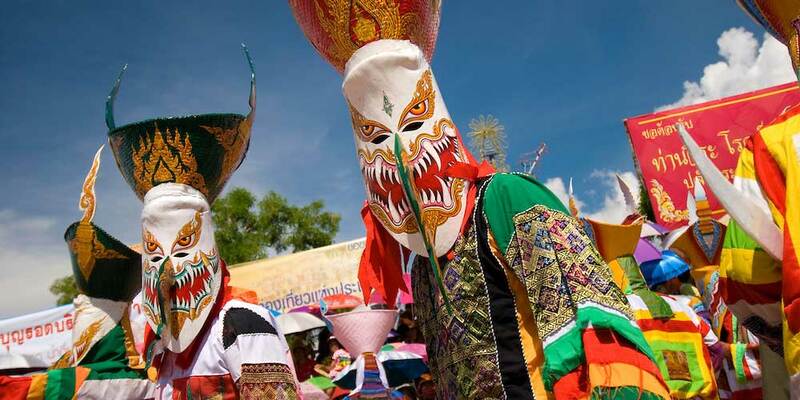 Located in Dan Sai Town in Loei Province, Thailand’s Ghost Festival is held on the weekend of the 6th full moon in the lunar calendar, usually in June or July. The event features mask parades, costumes and wild partying that’s all part and parcel of a grand merit-making ceremony known as “Boon Luang”. The Ghost Festival supposedly originates from an epic party that was so much fun, even the dead wanted to join. Thai people need no encouragement to throw a party. 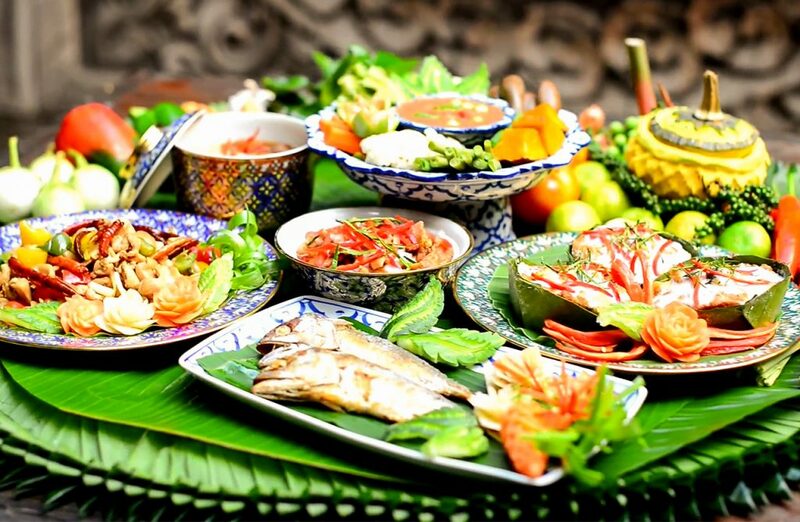 Although it’s not technically a traditional Thai holiday, Valentine's Day is celebrated around the country anyway. 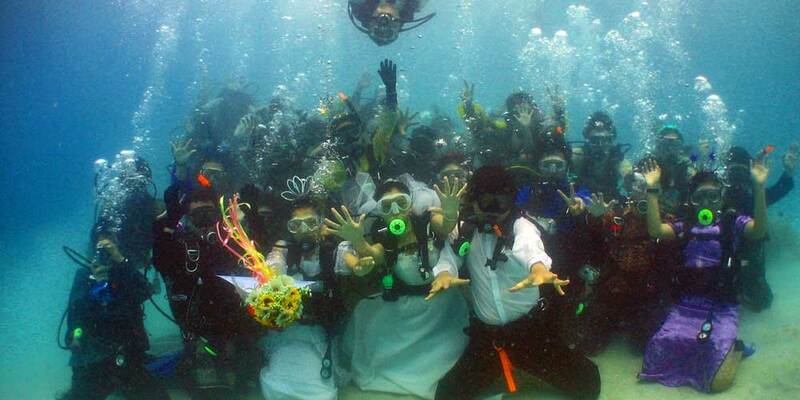 Head down to Trang Province in the south of the country and you’ll see the mass underwater wedding ceremonies, in which couples come together to make their vows and tie the knot under the sea. In the farming communities of Issan in northeastern Thailand, the annual rocket festivals are a major event in the calendar. Boon Bang Fai features live folk music, lots of local rice wine, beauty pageants and a party atmosphere. The main event is the rocket races; locals build ever bigger and more dramatic rockets, and then compete to shoot them into the sky as high as possible, in an act that’s thought to encourage the rains to come. If any rocket fails to launch, its builders are playfully thrown into a mud bath as punishment. 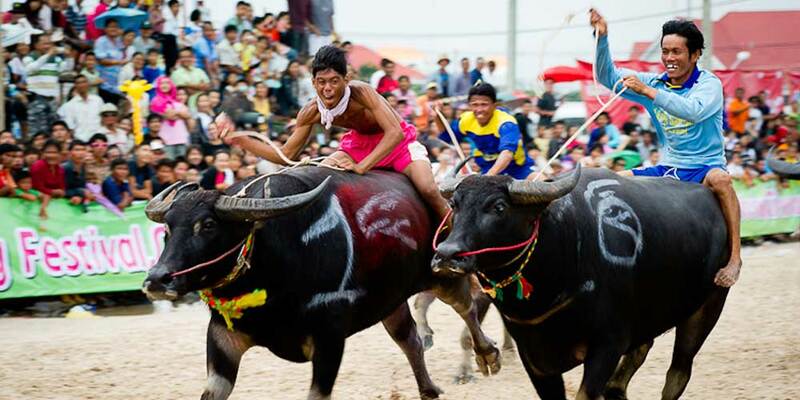 This unusual race has been going on in the small town of Chonburi for over a hundred years. Today, it draws spectators from far and wide to see local jockeys ride their buffalo along a 100-metre racecourse just outside Chonburi City Hall. 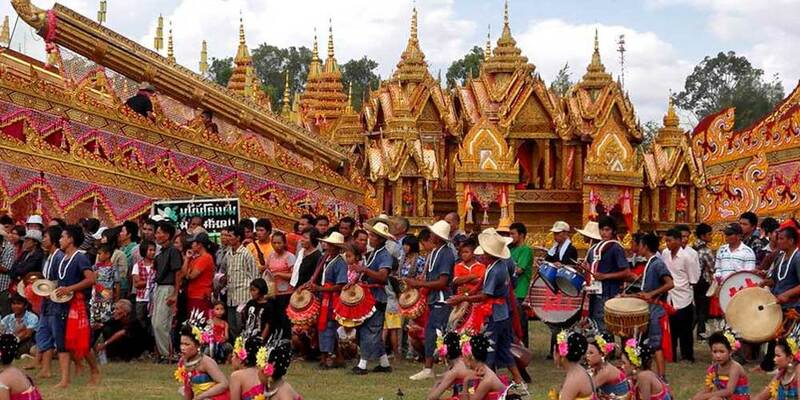 In addition to the races, there are lots of decorations, Muay Thai demonstrations and even a buffalo beauty contest! There’s normally also a fair with rides for small children, and other fete games including a competition in which participants try to climb a greasy pole in search of prizes. Located 150 km north of Bangkok, Lopburi is best known for its troops of wild and mischievous monkeys, which have taken up residence in the local temple. All year round, people feed them on scraps, but in November, a huge banquet is laid out. 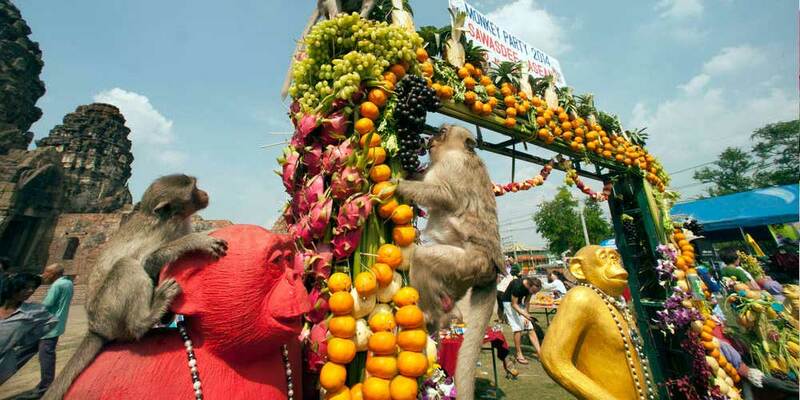 Around 3,000 monkeys gather to gorge themselves on four tons of fruits, vegetables and other treats. It’s a surreal experience that bears a striking, though simian, resemblance to the Mad Hatter’s Tea Party. 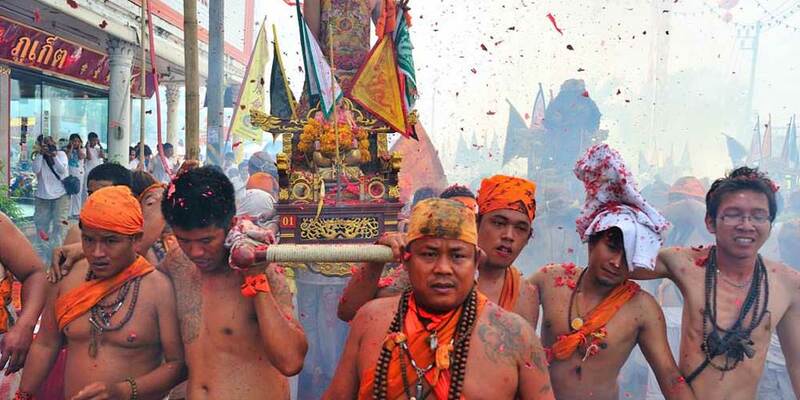 You wouldn’t know if from the name, but Phuket’s Vegetarian Festival is famed as a bloodbath. Here you’ll see gruesome body mortification, with locals putting swords and spiked objects through their cheeks (and other body parts), or walking barefoot over hot coals. The idea is that the gods will protect participants from harm in return for painful demonstrations of their beliefs. 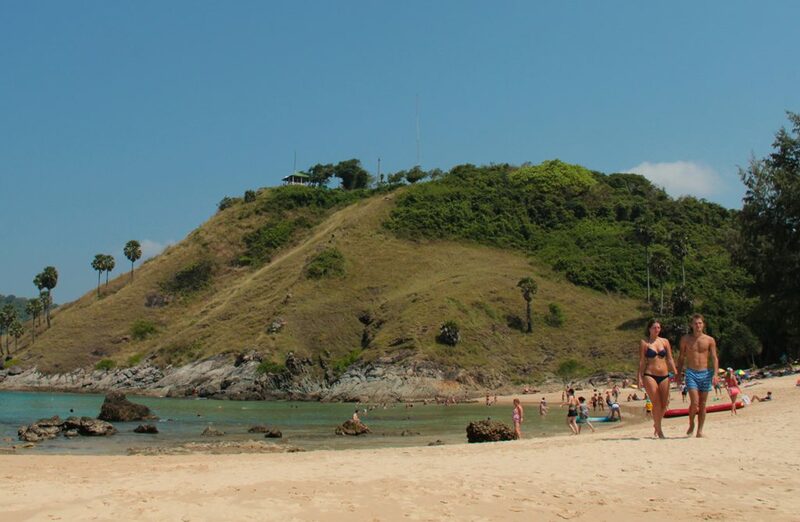 Each of the six main Chinese temples scattered throughout Phuket host similar celebrations. The main temple is Jui Tui Shrine, not far from the Fresh Market in Phuket Town. Definitely not for the squeamish! 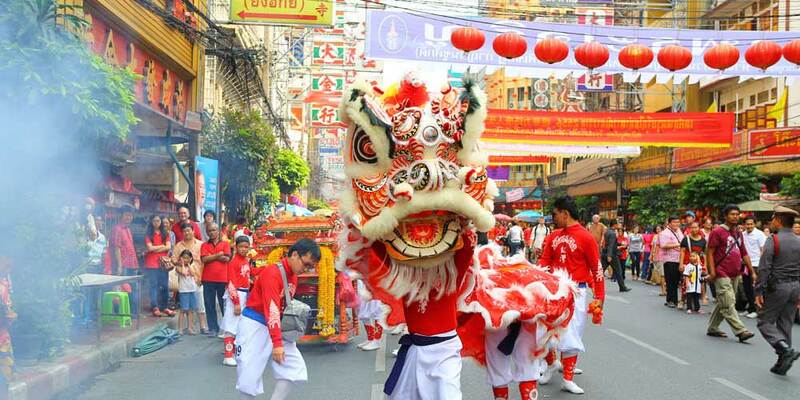 Yaowaraj, which is the Chinatown area of Bangkok, is the ideal place to spend Chinese New Year. 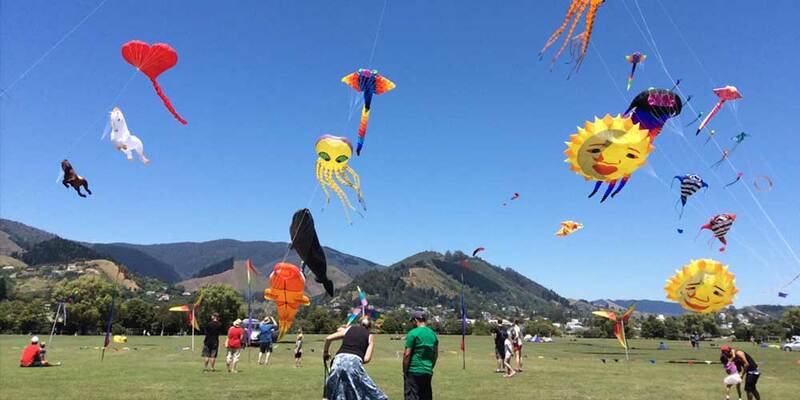 The whole street and its surrounding network of alleyways is packed with crowds of worshippers, firecrackers, dragon dancers and families who gather to celebrate the new year with parades and feasting. Head to Wat Mangkon Kamalawat on Charoen Krung Street at the northern edge of Chinatown and start the New Year with a bang.